Rep. Sean Patrick Maloney(D-Cold Spring) is calling for one of Indian Point’s nuclear power plants to go offline until the cause of the degradation of some of the plant’s internal bolts is solved. Indian Point in the Westchester County village of Buchanan shut down its Unit 2 power plant in early March to do what it said was a routine maintenance inspection and refueling as it seeks to renew its licenses. On June 20, Maloney countered that replacing 227 of 832 baffle bolts, or 27 percent, was a safety concern, and called for the plant to be shut down until the cause of the degradation was understood. Baffle bolts secure the wall of the reactor core, which encases the nuclear rods. 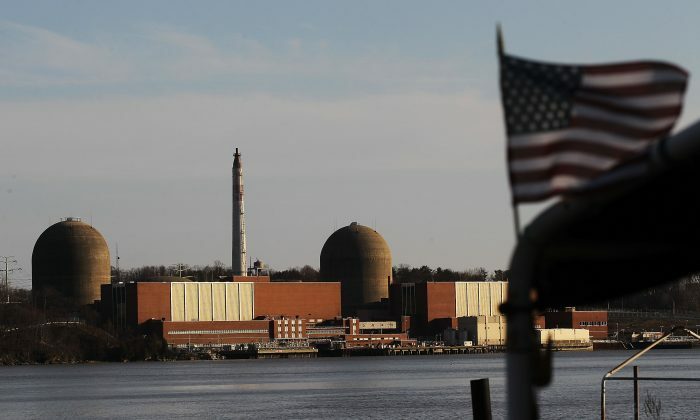 “The plant’s owner, Entergy, in a report to the US Nuclear Regulatory Commission admitted this to be a condition that significantly degrades plant safety,” Maloney wrote in a letter to the commissioner of the Nuclear Regulatory Commission. He also called for an inspection of the other power plant, Unit 3. Entergy said it would conduct a separate bolt inspection of Unit 3 early next year. The congressman has made no bones about the fact that the best future for Indian Point would be a shutdown, saying it “has no place in the long-term future of the Hudson Valley.” Maloney represents New York’s 18th congressional district, which covers Orange, Putnam, Dutchess, and Westchester counties.